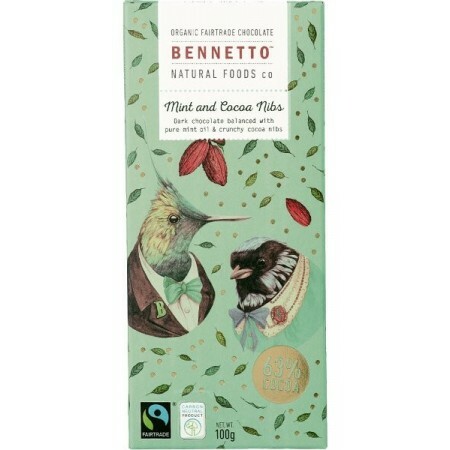 Peruvian dark chocolate with pure mint oil and delicious cocoa nibs. 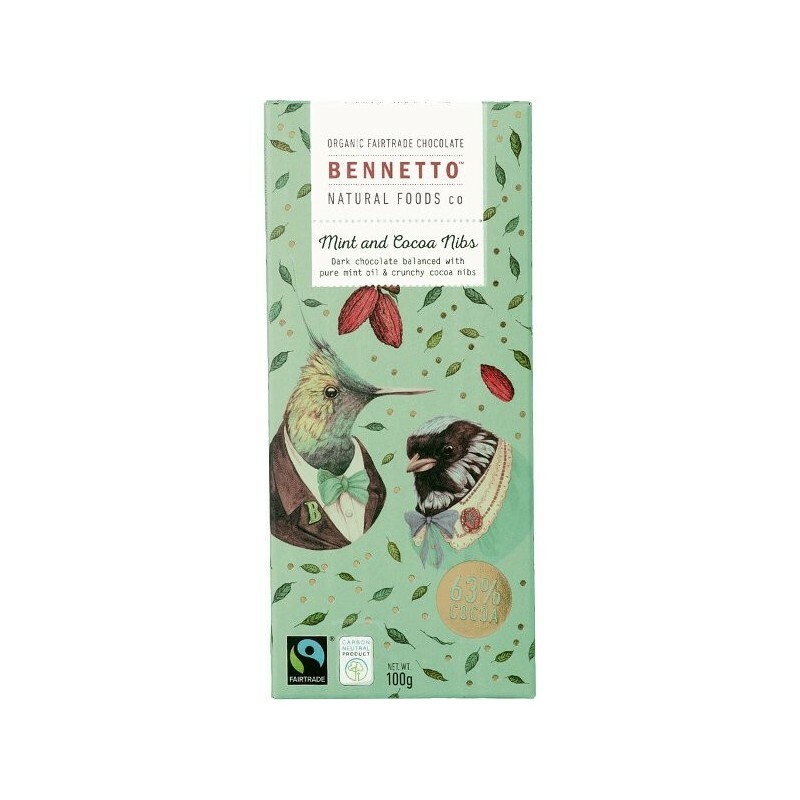 A vegan, organic, fairtrade chocolate bar that is committed to preserving the environment, and tastes fantastic. 100g. Probably one of the best flavours for dark chocolate. Love the crunch and mint combined in this flavour. Friends keep asking where to get these! Not easy to get vegan mint chocolate, so i was very pleased to find these. Very nice flavour, I recommend them and would buy again.